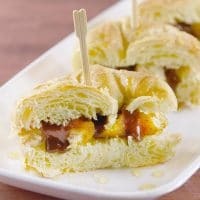 Easy Game Day Sliders and Croissant Appetizers recipes are a sponsored post written by me on behalf of Tyson® and Ball Park®. The opinions and text are all mine. We are now in the middle of football season and our teams are gearing up for some big games coming soon! I can’t wait for the next game and I am still thinking about the yummy appetizers that I served at our last home-gating event. 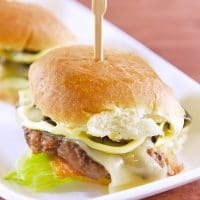 I made these Bacon Mushroom and Swiss Burger Sliders because I have always enjoyed that flavor combo. 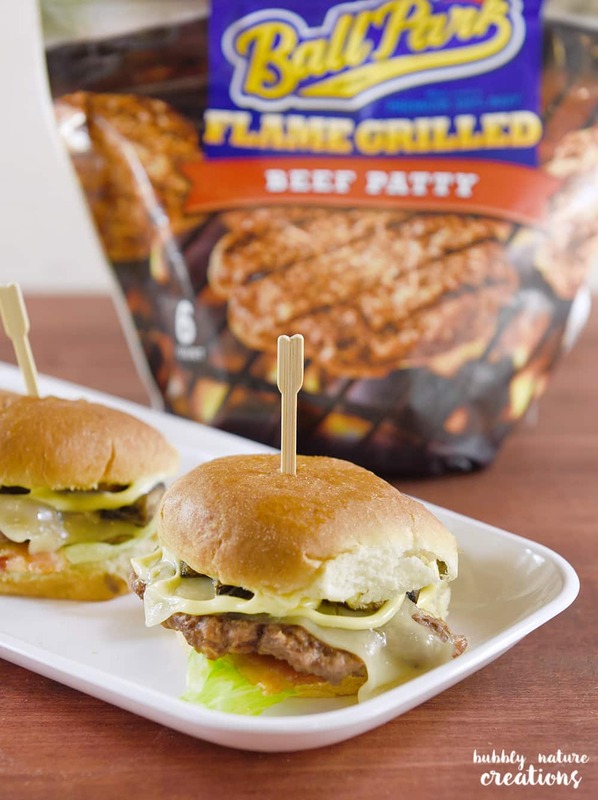 I used Ball Park® Flame Grilled Beef Patties because they are so easy to make in a hurry. 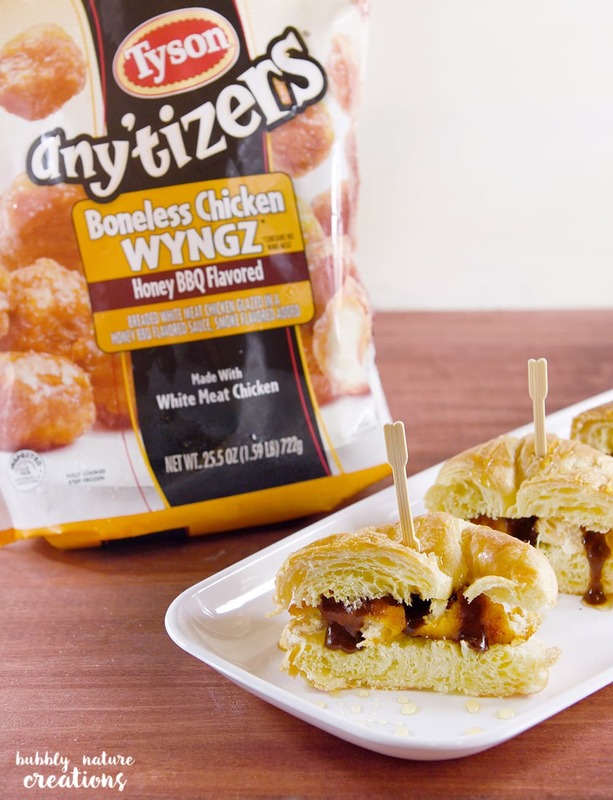 I also made Honey BBQ Chicken Croissants with Honey BBQ Tyson® Any’tizers Boneless Wyngz. Both of these appetizers are super simple, fast to make and taste amazing! My family has already told me we have to make them again. 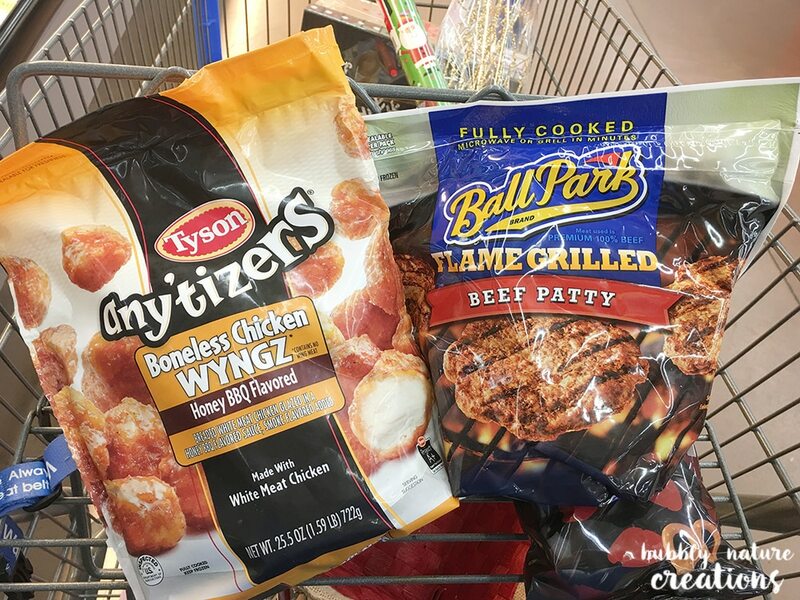 I picked up the Ball Park Flame Grilled Beef Patty pack and the Tyson Any’tizers Boneless Wyngz in Honey BBQ at Walmart. I also found everything else I needed for these appetizers there. These two appetizers definitely made our home-gating spread awesome and easy! It was hard to tell which appetizer was the star of the show. I think it all depends on which is your favorite… beef or chicken. As far as I am concerned I LOVE bacon mushrooms and swiss on my burgers and these sliders were simply perfect. 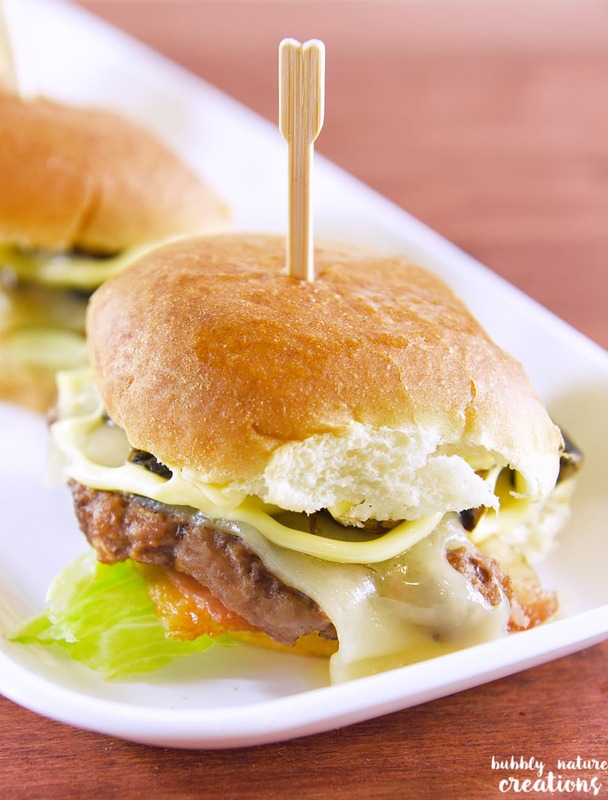 Assemble burgers on the buns starting with the lettuce, bacon, beef patty, swiss cheese, mushrooms and then the mayo. Insert a toothpick if desired. Cut the Croissants in half lengthwise and then split each piece in half. Fill with the chicken and drizzle the honey BBQ sauce on top. Put the top on and drizzle it with honey. Serve with a toothpick if desired. 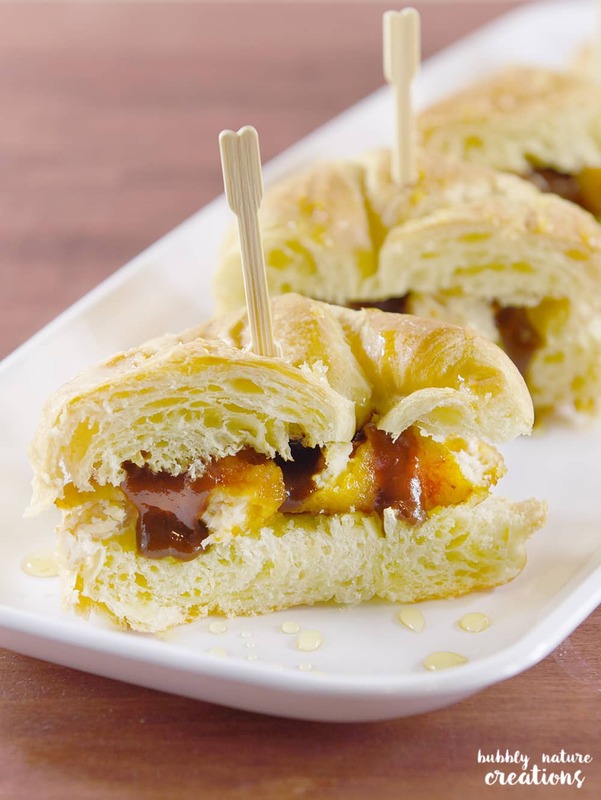 Next up were these delicious Honey BBQ Chicken Croissants. The tangy and sweet sauce on the Honey BBQ Tyson Any’tizers Boneless Wyngz was perfect for these! It’s almost time for another game and you better believe these will be on the menu! What easy appetizers do you love to serve at your tailgating or home-gating events? 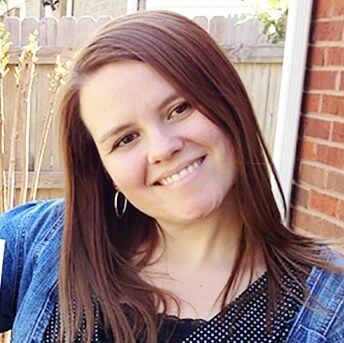 This is a sponsored conversation written by me on behalf of Tyson® and Ball Park®. The opinions and text are all mine.